Gluten free, refined sugar-free choc coconut crunch cereal | seriously tastes like coco pops! We’ve called it, erythritol is the new natural sweetener on the block. And you need to try it for 2018! If you want to learn more about why we’re choosing this sweetener, we wrote an entire blog post answering your questions right HERE. BUT that’s not what this post is about. Oh no. This post is all about rocking your taste buds. Say hello to your new brekky best friend, our totally healthy, totally delicious, totally tastes like coco pops (kinda sorta yeah) gluten free, refined sugar-free choc coconut crunch cereal. YEP, we reckon that this is going to be your new fave brekky. You can enjoy the healthy cereal by itself, whack some berries on top OR use it as the perfect smoothie bowl topper. We did all of these options and each gets our merry tick of approval. If you’ve been sitting on the fence about natural sugar alcohols, erythritol is the perfect one to try as it tastes clean and fresh with no bitter aftertaste. It’s non-laxative with a zero GI level, making it the perfect sugar alternative for diabetics, plus it’s affordable because you really don’t need much at all per recipe! YAY for all that. We don’t know about you but we used to be complete cereal addicts. We’d have it for brekky, afternoon tea, even dinner sometimes. 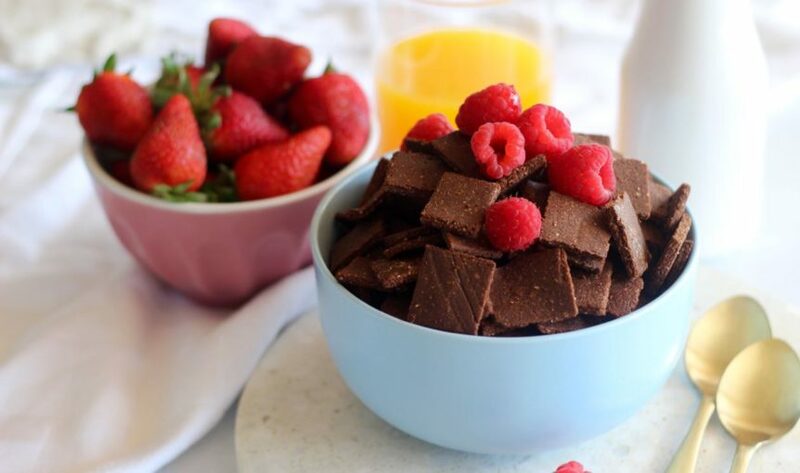 If you’ve been missing your cereal fix, then whack this healthy coco pop chocolate cereal on your to-make list. It’s perfect for prepping a week’s worth of brekkies and we reckon it’s pretty kid approved too! 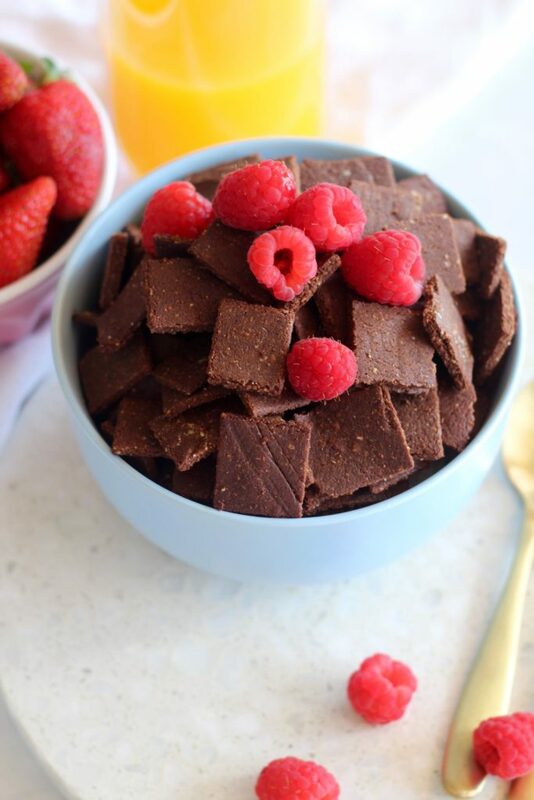 Let us know what you think and if you make some tasty as gluten free, refined sugar-free choc coconut crunch cereal, share a pic with us on social media! Use #GetMerry so we don’t miss out! In a blender or food processor place the coconut, sunflower seeds, Naturally Sweet Erythritol, cacao powder, cinnamon and salt. Whiz until a fine meal forms. Add the coconut oil and egg, whiz for 1 minute or until thick, smooth and combined. Transfer the mixture to a sheet of baking paper, place another on top and roll out to about ¼ cm thick (⅛ inch). Take out of the oven, then break into pieces. Place back into the oven for 5 more minutes then allow to cool. Serve with coconut milk and fresh berries (or with whatever your heart desires!). You can totally make this for a week's worth of brekkies! Store in an air tight container and be excited for a prepped week of yum mornings!